Under the current Japanese regulatory system for food, some food additives are permitted for use in foods based on a history of use of the ingredient as a food additive (“Existing Additives”), while other additives are permitted based on pre-market review of safety (“Designated Additives”) by Ministry of Health, Labour and Welfare (MHLW) and Food Safety Commission (FSC). Last December (2017), the MHLW, the competent authority responsible for ensuring the safe use of food additives, announced a plan to identify substances on the "Existing Additives" list that have no current existing uses and should therefore be deleted from the list. According to this announcement, as the first step, the MHLW conducted a preliminary survey of the current use of 365 additives included in the "Existing Additives" list and identified 196 additives that could be deleted (i.e., "candidates for deletion"). As the next step, the MHLW is requesting food business operators to participate in a survey to better understand the actual use of the additives in greater detail. Specifically, the MHLW is requesting information regarding the intended uses of these additives and sales records (in Japan) as well as a sample of the additive. The deadline for information submission to the MHLW is 22 March 2018. Based on the information submitted by the industry, the MHLW plans to publish a revised list of candidates for deletion by the end of 2018, which will be followed by 6-month period for any corrections. It is expected that the deletions will occur within one year of the publication of the revised list of candidates for deletion. Once deleted from the Existing additive list, the additive is no longer permitted for use in Japan, unless the additive goes through the formal pre-market safety assessment process and approved as a "Designated Additive". It is highly recommended that food business operators who sell and distribute any of the 196 "Existing Additives" slated for deletion in Japan to participate in the ongoing survey by submitting necessary information to the MHLW (please contact us directly to obtain the candidate list). Intertek can assist food business operators in understanding the MHLW plan in greater detail and in preparing and submitting necessary documents to the MHLW to keep their food additives on the "Existing Additives" list. Today's expert blogger is Ashley Roberts, an accomplished Regulatory Toxicologist with extensive knowledge international regulatory affairs. 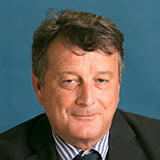 As Senior Vice President of the Food & Nutrition Group within Intertek Scientific & Regulatory Consultancy, his considerable experience in designing, conducting and reporting pre-clinical and clinical research studies for food ingredients, additives and contaminants allows clients to be reassured they are in good hands. He advises and assists our international clients with issues that are scientific, regulatory and toxicological in nature. In addition, he is able to assist in designing and developing scientific research programs, as well as developing regulatory strategies for food additives, food enzymes, foods that are Generally Recognized As Safe (GRAS) and novel foods.